At 14:00 SLT on Saturday September 13th, the premiere for the first episode of Virtually News with AvaJean Westland, will take place at the LEA theatre and on YouTube, SLArtist and Vimeo. The machinima, created by actress/writer Gameela Wright (AvaJean Westland in Second Life), is a mock/spoof news piece in the vein of SNL’s “Weekend Update” and “The Onion News Network. In it, Gameela takes an irreverent take on current events and pop culture and pushes the boundaries while using animation as the filter. 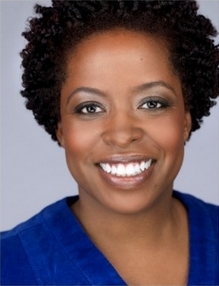 Based in New York, Ms. Wright has over 15 years experience in theatre, television, voice overs, film and commercials. She has appeared in such top-rated US shows such as Blue Bloods, Law and Order: Criminal Intent, Law and Order: Special Victims Unit, and Orange is the New Black. As in AvaJean Westland in Second Life, Ms. Wright has worked with the Avatar Repertory Company, and also developed projects as Virtual Girl Productions in Association with Running Lady Studios,collaborating with Suzy Yue of Running Lady on machinima projects such as The Twilight Sim and Name That Schmuck! In 2013, she took over hosting duties for the Second Life leg of the 2013 Relay for Life. She has also appeared in the popular film noir series, The Blackened Mirror, in which she both portrayed the character of Martha Pearse, she played an invaluable role in the show’s production, puppeteering a number of the characters on behalf of those actors unable to be in Second Life for the actual filming, creating a physicality to the characters to match the voice performances. In addition, she created machinima for the Project Homeless campaign (The Quiet Dark Wind) and the Sci-Fi Film Festival, both organised by Screen My Shorts and The University of Western Australia (UWA). Her entry for the Sci-Fi film Festival, Centuries Past, took home two awards. Virtually News with AvaJean Westland will premiere at 14:00 SLT on Saturday September 13th. Requested dress for the event is upscale casual to formal – whichever you choose. Please keep scripts and prim counts low. It is hoped that actors and crew from the film will be on hand to talk about the making of the piece and to answer questions. The Drax Files Radio Hour: Jacquelyn Ford Morie – finally! 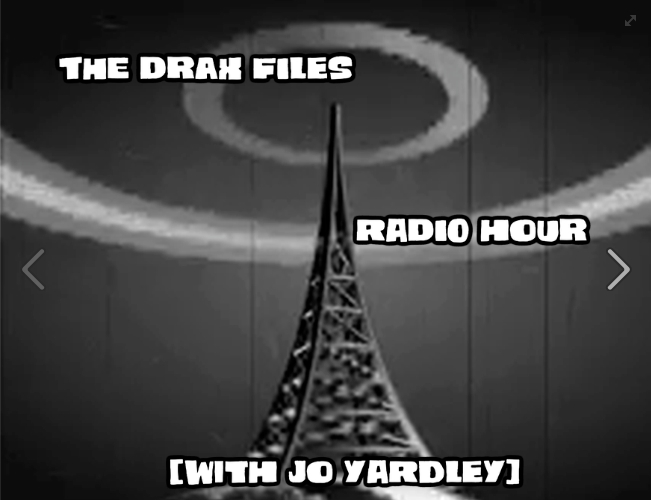 Episode #35 of The Drax Files Radio Hour was posted on Friday September 5th, bringing with it a return to the “live” podcasts with Jo Yardley. This is the episode which (finally!) brings us the interview with Jacquelyn Ford Morie, which I’ve been waiting for since I first heard that Drax had interviewed her back in July. Our very own Vick Forcella also puts in an appearance as well, making some pertinent observations about the Lab’s next generation virtual world platform, which you can also read on his blog. As well as the main interview, there is the usual round-up of VR news. In this, the Samsung Gear VR and the beta of a new VR portal site are perhaps the most interesting elements. The Jackie Ford Morie interview comes in at the 20:20 mark. For those unfamiliar with her name or work, she is an artist, scientist and educator working in the areas of immersive worlds, She obtained her Masters in Computer Science from University of Florida in 1988, prior to helping in the development of the Computer Graphic Design and Computer Animation programs at the Ringling College of Art and Design games and social networks. From here she progressed on to the Visual System Lab (VSL), a part of the Institute for Simulation and Training at the University of Central Florida in Orlando, FL. While there, she worked on Virtual Reality projects for the State of Florida and the Army Research Labs. She has also worked for Walt Disney Feature Animation (WDFA), where she was responsible for developing a comprehensive year-long apprenticeship for incoming computer graphic animators, an approach she replicated for VIFX, Blue Sky Studios and Rhythm and Hues Studios. However, it was while at WDFA that she was invited to take part in a 1996 National Research Council workshop entitled Modeling and Simulation: Linking Entertainment and Defense. This led directly to the founding of the Institute for Creative Technologies (ICT) at the University of Southern California. Until 2013 she was a Senior Research Scientist at the ICT, involved in a range of VR projects, many of which are described in the interview. Around mid-2013 she departed the ICT to set-up All These Worlds, LLC to take her work related to virtual worlds and avatars which was initiated during her time at ICT, to a broader audience. 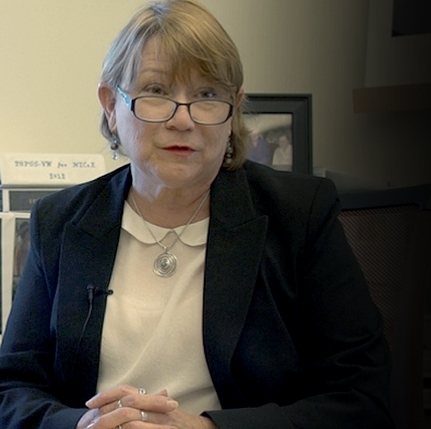 For anyone remotely interested in the field, Jackie is precisely the person to listen to. Not only is her own experience with the technology fascinating to discover, her sheer knowledge of how the technology developed and the potential applications, from highly specialised through to the entertainment industry to consumer-focused uses through the 1990s is absolutely fascinating. And if you’re reading this, Jackie – yes please, do go ahead and write that book on the history of VR! At several points in the discussion, the issue of presence is touched upon. With the re-emergence of VR in the modern era, this has become a slightly divisive subject, as there is really two side to it: that of the physical / spatial immersion, wherein we having the physical feeling of being within an environment as represented through VR; and the emotional / social aspect of immersion – which is something that the likes of SL is particularly good at enabling. It’s fair to say that many currently engaging with VR perhaps place greater emphasis on the form, physical / spatial immersion, than on the latter – hence why some don’t see worlds like SL as particularly relevant to VR. However, as Jackie points out, physical / spatial immersion is less than half the story. No matter how involved the environment, or how “real” it seems, a part of our minds is always aware that it is a virtual environment, and that we’re still rooted in reality outside of the environment. However, bring the emotional / social sense of immersion, and then VR really becomes all-encompassing. Indeed, it is this aspect of emotional engagement, of bringing the mind to a point where it is so convinced that what it is witnessing is real, which has caused some to cogitate on whether VR could, if handled incorrectly, literally become a killer app. Jacki’s own involvement in VR has been directed toward the more psychological elements of immersion, something which perhaps started with her involvement in the “presence questionnaires” used by researcher throughout the 1990s and right up to today to measure both a person’s predisposition to become immersed in something and their actual sense of immersion in a virtual experience, through to seeking ways and means to enhance the psychological sense of immersion up to and including the use of scents. At the ICT, her work has very definitely been focused on the more psychological aspects of immersion, including the use of a wide range of other technologies to heighten a person’s sense of psychological immersion, some of which has been a natural extension of her early work in the fied. Alongside of this, she has been involved in the development of virtual humans – in which the ICT is a work leader. I’ve covered some of the ICT’s work in this area through my look st SimSensei and MultiSense (which Jacki references in the interview) as a means of providing support for those suffering mental health issues. The ICT’s work, whilst bent towards military applications, actually represents a unique fusion of technology research, the entertainment industry and military applications, and it is something I’ll be looking at some more in the near future, as I have two further articles on their work waiting in the wings to be polished-off. One of these is a look at the ICT’s use of VR in helping veterans and personnel deal with post-traumatic stress disorder (PTSD). This is also something Jacki has been involved in, through her collaboration with Colonel Valerie Rice into the use of Mindfulness-based Stress Reduction (MBSR), which has also been a focus of her new company, All These Worlds. It was because of the developmental work on virtual humans that Jackie became involved in virtual worlds like Second Life, which she first used in combination with the virtual human toolkit developed by the ICT to create more advanced and reactive / responsive automated avatars (aka bots), which could be potentially used in a range of scenarios and training opportunities. 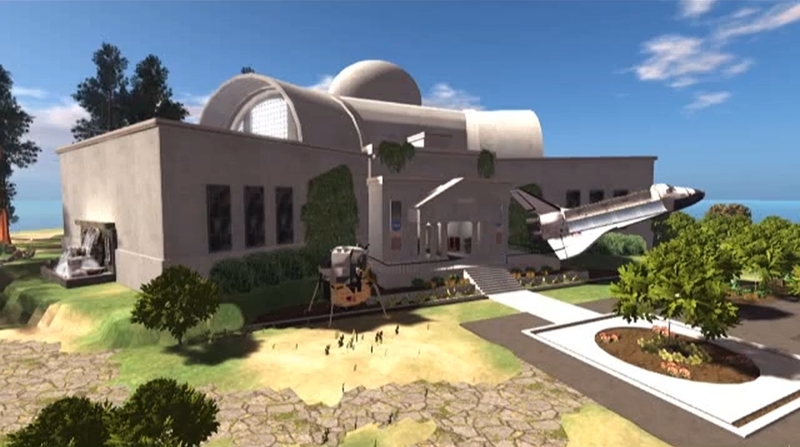 More recently, All These Worlds have been involved with NASA, looking at the ways in which VR, immersive environments and even virtual humans could be used to benefit astronaut crews engaged in deep space missions (such as one to Mars, which would likely have a 3 to 3.5 year duration, much of which would be outside of synchronous two-way communications with Earth due to time delays in transmissions). I touched upon some of this work, that of the ANSIBLE project also back in June 2014 as a part of a high-level look at VR’s role in space exploration. With a more involved project likely to be kicking-off in the near future, it’s something I plan to return to and look at in more depth later in the year. Rounding-off the interview is a look to the future and where VR may well be leading us, and some of Jacki’s views are again though provoking, as is some of the work on which she’s been engaged – but I’ll leave it to you to listen to the programme and discover. This really is an interview not to be missed. The Samsung Gear VR is particularly interesting because it seeks to take an important step beyond what could limit the mainstream take-up of VR when looking purely at something like the Oculus Rift – portability. Frankly, many people aren’t going to want to be tethered to their PC or a high-powered laptop in order to enjoy their VR; they’re going to want to have the freedom to enjoy VR where they like, when they like. The Gear VR is a clear step in the right direction where this is concerned. It’s also, for a device using mobile technology (the Galaxy Note 4), a lot smarter looking than the “mobile VR solutions” we’ve seen to date. 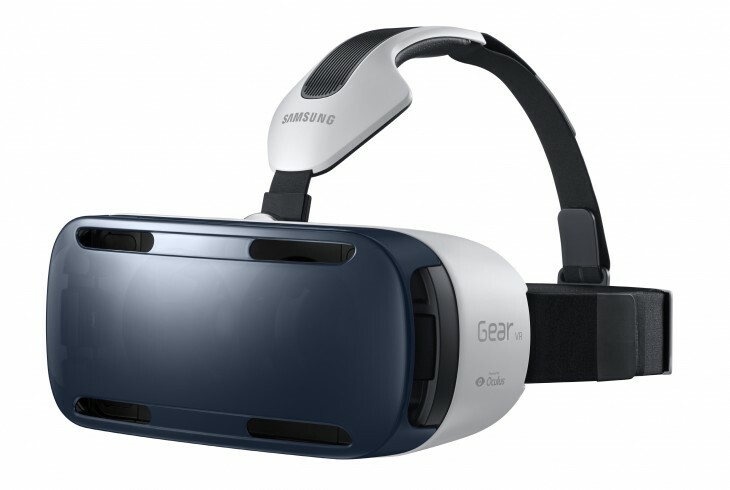 Of course, the Gear VR is far from perfect – it does require a Galaxy Note 4 to power it, so even with the headset rumoured to be costing around $199 (or £150 / $245 through one third-party reseller), it is likely the yet-to-be-confirmed price / monthly contract fees for the Note 4 will to see the overall cost of a Gear VR set-up pushed pretty high, again possibly limiting its appeal to that of the real VR enthusiasts. Nevertheless, it’ll be interesting to see where this goes – and how it feeds back into the Oculus Rift down the road. Samsung are expects in mobile / portable technology and computer hardware design, so what might come out of a synergy between them and Oculus VR down the road could yet be surprising and revolutionary. The second element to the news – the beta testing of a new content portal for the Gear VR market under the Oculus banner. Providing access to games and films, and which is itself provided as a VR experience, the portal pointer to the potential future for Oculus VR, not so much as a hardware maker but as a technology innovator and (more specifically) a content provider. And when it comes down to it, content is where the big money in VR actually resides. Content is why I personally feel that rather than bringing about a resurgence of interest in virtual worlds, as some seem to believe will be the case, VR will result in virtual worlds remaining a niche usage, simply because the richness of available VR content results in the mainstream continuing to see VWs as superfluous to their needs, even while they embrace VR for a wide range of pursuits and activities – such as by watching things like movies and live events such as sports via VR, which itself was so recently given a preliminary road-test by the UK’s BBC in a world’s first that seems to have gone largely unnoticed by the VR fraternity.